I normally love St. Patty’s Day. Not so much the green beer, and drinking until you fall on your face. I love the corn beef and cabbage, Irish soda bread, the music, and the fact that I’m a little Irish doesn’t hurt either. This year though, there was no corn beef, no Irish soda bread, and no alcohol of any kind. Just me, keeping my foot elevated because I had some serious pain. What happened? I honestly wish I knew. If you’ve been over on my Twitter, you probably saw this issue. I woke up Friday night at 11pm (after having gone to bed around 9pm) to searing pain in the toe next to my big toe on my left foot. I don’t remember anything from 9-11pm that night. I do remember at 11pm getting up and having to move something that was in my doorway so I could get out of my room – my cats are constantly knocking things onto the floor and in my way. But if I had hit it previously that night? I couldn’t tell you. I have no memory. 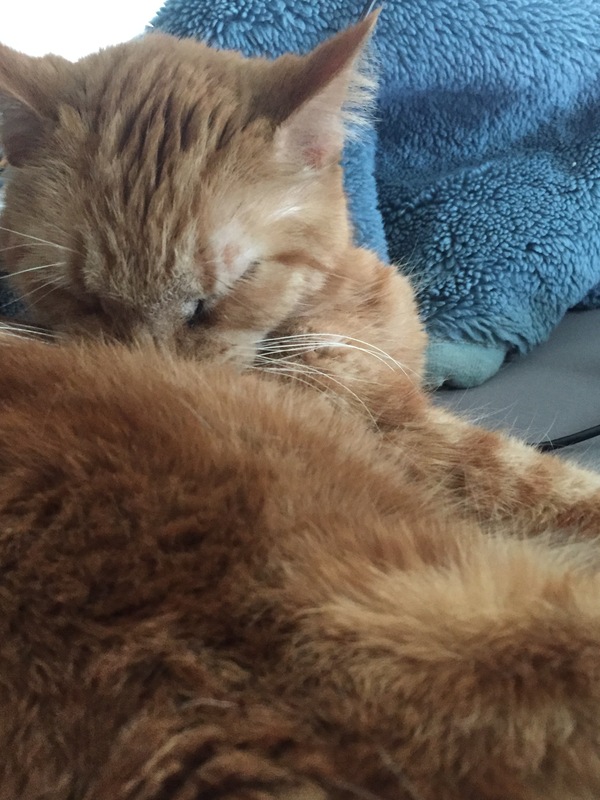 The pain – even after pain killers were taken – kept me up until 3am. I wasn’t sure if I had broken it, just a really bad stubbed it job, or what. When I finally did wake up, the pain wasn’t far behind. An ever constant sharp throb, like someone was stabbing needles into my toe. The strange thing is, for all the pain – there was no bruising or discoloration in the toe or anywhere on my foot. The toe looked fine. Normal color, normal lean toward my pinky toe like my big toe had shamed it. When taking care because it hurt to even touch or poke, the bones felt solid and fine. I spent two solid days in pain with my foot elevated and my pained toe taped to its neighbor for support and stability. Living in a two story house, I was practically confined to my bedroom because stairs were the worst of all with this. You’re probably wondering, why didn’t you go to a doctor or urgent care? Because honestly, with the bones being whole, there’s nothing they can do for my foot that I wasn’t already doing. Pain management, immobilizing the toe by taping it to something solid, keeping off it and keeping it elevated. I will admit I went back and forth a couple times on if I should. But in the end, even if it was broken, they don’t put a cast on a toe. They line it up, tape it up, and tell me to do everything I was already doing. So was it worth it to spend the money for an emergency visit and X-ray? Not to mention the amount of time I would spend waiting to be seen by someone, waiting for the test, then the results, and then the solution. Monday I went back to work on it, but even at work I’ve been making sure to keep off it as much as possible. It’s Wednesday now, I’m a couple days late with this post, I know. But it’s been busy at work and I crash almost as soon as I get home. So it’s been a long week already. And the toe is starting to heal. I left it untaped last night and it seemed to do okay. Though, I’ve taped it again for work today. If I have to be up and moving I want it secure. This has been a real life update more than a writing update. But honestly with the amount of pain I was in I didn’t get any writing or editing done this weekend like I had hoped. I was barely able to concentrate on watching tv or sleep. Next week should be a better update. I hope at least. I hope that your St. Patty’s Day was far more fun than mine. Did you do anything fun? Go out anywhere interesting? 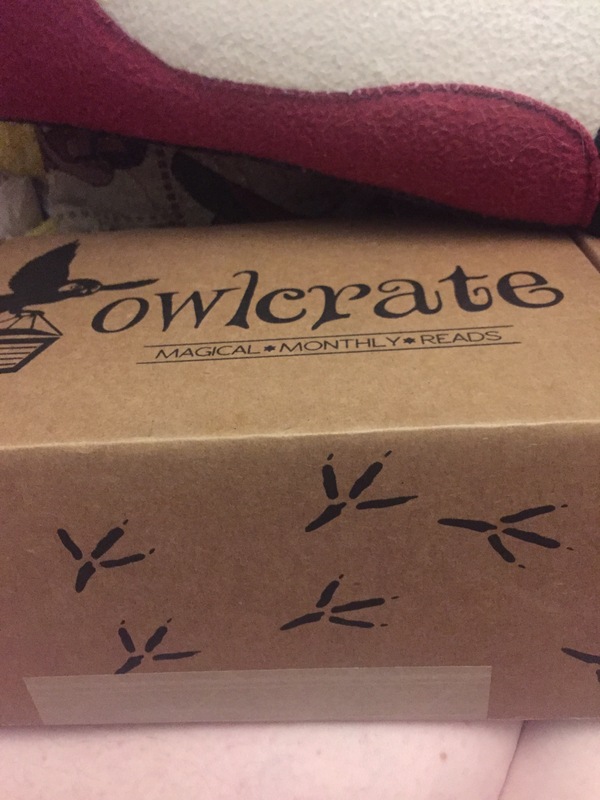 So, one of the fun things I ordered for myself that now arrives every month are these amazing OwlCrate boxes. If you’re interested in the subscription, you can check out their website here. And, because I do feel like I need to say it just in case – though everyone should have it because it’s March, there will be spoilers for what is in the crate below. Hello Lovely readers. I love Build-A-Bear and may have a mild addiction to them. I can’t help it. They’re so soft, snuggly, and just bring me cheer on a bad day or week. Please note, totally not a paid shout out for the company. I just have a deep love for them. 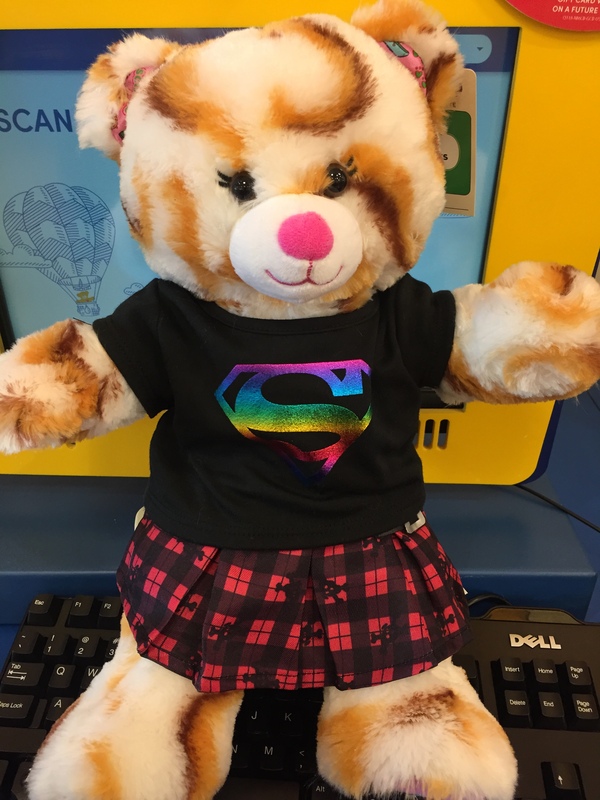 I got an email Friday that they came out with a new Girl Scout bear. Which prompted a trip to go get her – I have all the Girl Scout bears because I grew up a Girl Scout. (If you’re wondering, this is the fifth bear in the Girl Scout set for BaB). I also have the main six My Little Pony BaBs. For some reason, last week ended up being really stressful and I ended up super sensitive and not feeling the world/people/job much. So this little doll coming out really brightened my day. And I can’t have naked bears, so I had to get her some super cute clothes as well. Naturally. I think the only naked BaBs I have are the My Little Ponies. She came in especially well Sunday because I got sick and nauseous and ended up sleeping 90% of my Sunday away. What little I was awake for it, I read. I’m really working on reading Message of the Crow by Ellen Dugan because it’s been on my TBR for the last three months and I really want to finish this book. I’m on chapter three now! Getting there. My motivation is low, so my reading speed has slowed down a bit. I’m still working on it, and getting things done as I can. I’m trying to not let life stop me, inch along if it slows me down but not stop completely. Still working on edits, but at 20+ chapters, the edits will take a bit. But I’ll get it! I refuse to not! How is your March going so far? Getting things done? Is the month feeling a little draggy for you too? Of course, some of my drag today could probably be associated with both not feeling well yesterday and the fact that Daylight Savings was yesterday so I lost an hour. Hello! Welcome to the first Monday of March! I hope that you’re March is going well so far. This post is a little late, but it’s still being posted on Monday! So it counts! My March is kind of middle ground at the moment. So far, so good with making my posts on time, on Mondays. But then, we only really have this post to go on for the time being. As it’s the first Monday in March. And to be far the rest of the month, while intentions are hopes are high, it’s massively TBD. I was able to finish editing chapter two of my novel and will be starting chapter three ASAP. That has me fairly excited, to get another chapter done – I finished editing it last night. So in that respect I can definitely say I’m doing well. I was also able to get a little writing done. Not a lot. Like two pages worth. But still, writing is writing and all writing is good writing – if only because it means that pen is connecting to paper (or fingers are connecting to keyboard) and words are coming out. I’m struggling with this current project because I’m seriously trying to figure out if it should be first person or third person. I’ve never really worked in first person before so I don’t know if the struggle is partially because I haven’t done it before or if it’s just not working and I should flip back to third. At the same time, it’s something I want to figure out soon – because I don’t want to get half way into the story only to turn around and re-write it the other way. We’ll see. Maybe I just need a little more progression before I decide though. On a not so great note, my washer broke. Mid cycle. So Sunday had a lot of time spent at a laundromat to finish the clothes that were all soapy, wash the other load that needed to be done, and then stop to purchase a new washer. Thankfully the store had a sale on, and the new one will be here next Saturday. But it’s a stress that really didn’t need to be added to the already frustrating basement flooding issues. I’m hoping to continue to get some writing and editing done this week. And some reading as well. All the plans, and I’m slowly but surely carving out time for everything I need and want to do. Hope that March is going well for everyone else! Any fun projects on the docket to be completed this month? Let me know down in the comments! I said goodbye to February on Monday. It may have been a little pre-mature, but after all the problems I had in February between health and home, I don’t think that it’s too surprising that I decided to flee from it faster than a girl with a hell hound on her heels. The weather this week has started to slowly warm up, and I can only hope to leave the frozen behind as I welcome March and it’s unspun possibilities with open arms. Were you able to finish everything you hoped to in February? Are you moving what you haven’t finished over to this month to try and successfully finish it? I’m not going to review my goals for 2018 because I know it’s been a struggle. I’m taking a flag pass and counting this as my bye month in the grand scheme of things. What it does mean, is that I don’t get another one so pending no more health or home issues, I will do better moving forward. When I set up my February TBR I tasked myself with reading six books, five new and one that I had started. I don’t think that this was overly too ambitious considering I had been able to read five during January. And truth be told, I think I did fairly well. I was able to read five books this month. It just so happens that some of them weren’t on my TBR, though. Three of the five weren’t on my list, but they caught my attention and I stopped my list to read them. Sometimes things just catch my attention. Most of these books I’m looking to shuffle over to March because I still very much want to read them. Over all, even though I wandered off my TBR list for other books, I managed to read the number of books I had hoped to, so I’m still proud of myself for getting through them. Keeping with what I started last year, I figured it’d be fun to list all the books I purchased in February too. Because I did so well in February, I’m once again setting my goal at six books for the month. It’s longer than February by a couple day, which means extra time to get those six books read, right? I don’t plan for books that might catch my interest, because I never know when I’ll stumble across them and pause my TBR to devour a stray instead. But I won’t stop myself from doing it either. It always makes it interesting when that happens. For those that know about Erin Watt’s books, no, Fallen Heir isn’t on my TBR for this month. It’s not that I’m not interested in East’s story, I whole heartedly am. And it is on my GoodReads’ TBR because I want to keep an eye on it. But because it’s book one in the two book set about East, and until Cracked Kingdom is released I’m going to want to hold off on reading the first one. I love the books enough that I’ll want the second one out so I can roll right into it.